This past Monday was 体育の日 (sports day) which meant I had the day off! 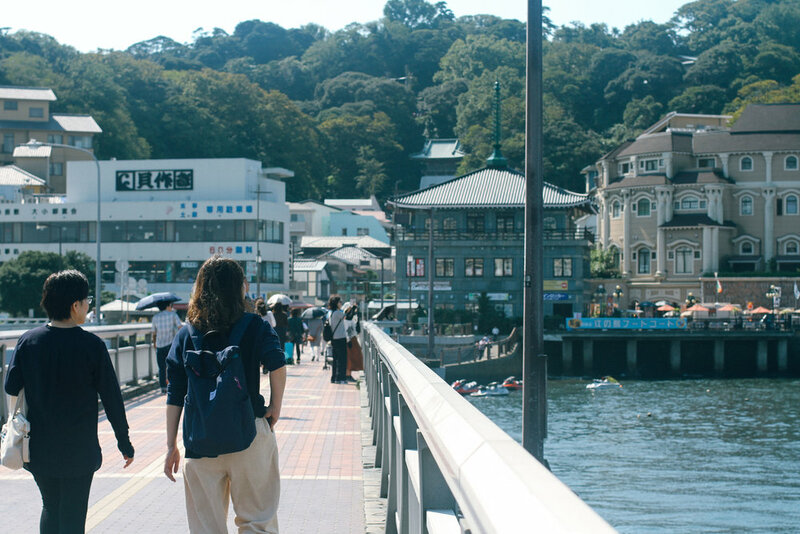 Lucky for me, my two good friends, Steph and Ayaka, also had the day off so the three of us decided to venture out for a day trip to Enoshima! 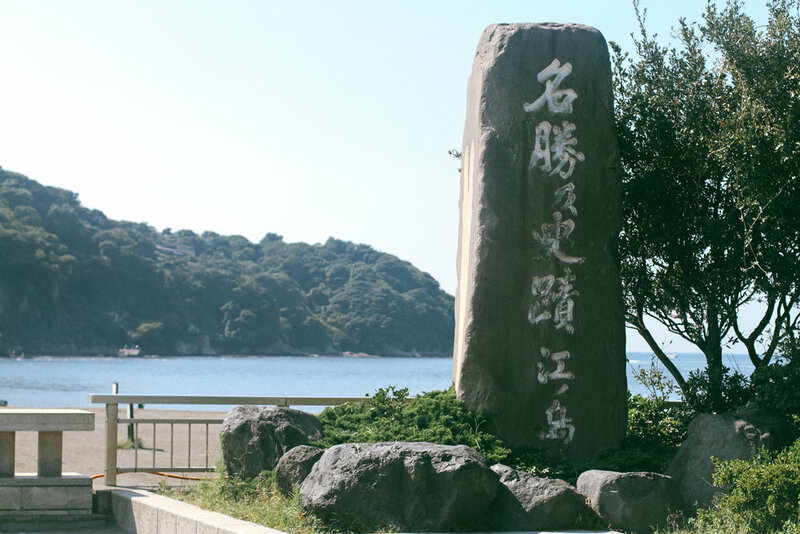 Enoshima means "Bay Island" and lives up to it's name by being a beautiful little piece of land just an hour and a half south of Tokyo. This is a pretty famous place for movies, tv shows (Terrace house!) and especially...dates! HAHA...so the three of us girls laughed that we were having this romantic day trip together. THE BIRDS ARE WEARING SWEATERS! When I saw this, I knew I would like this quirky, beachy place. 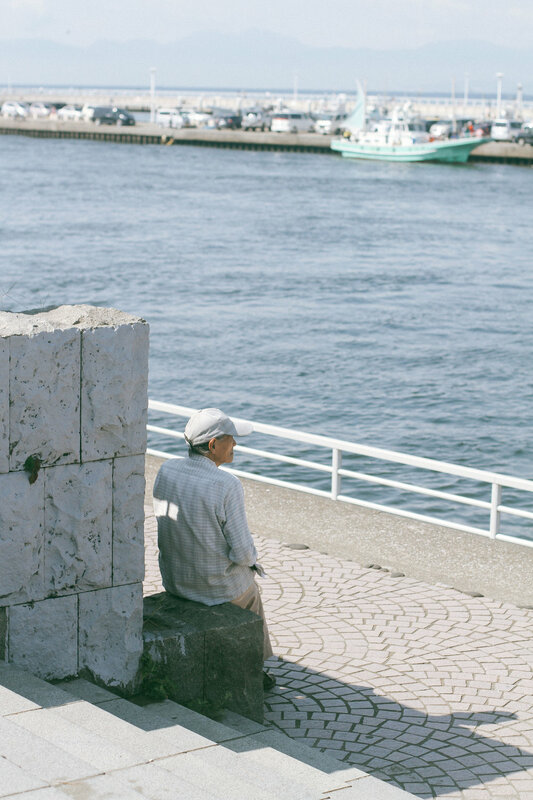 An old man and the sea. This is my favorite pic of the day. Once you get to Enoshima station, you just walk about 15 minutes down the road, across this pedestrian bridge, and then you're on the island. I looked out and saw a crew of stand up paddleboarders and immediately felt like I was at home...or Hawaii! I wished so badly I could get out there with them! 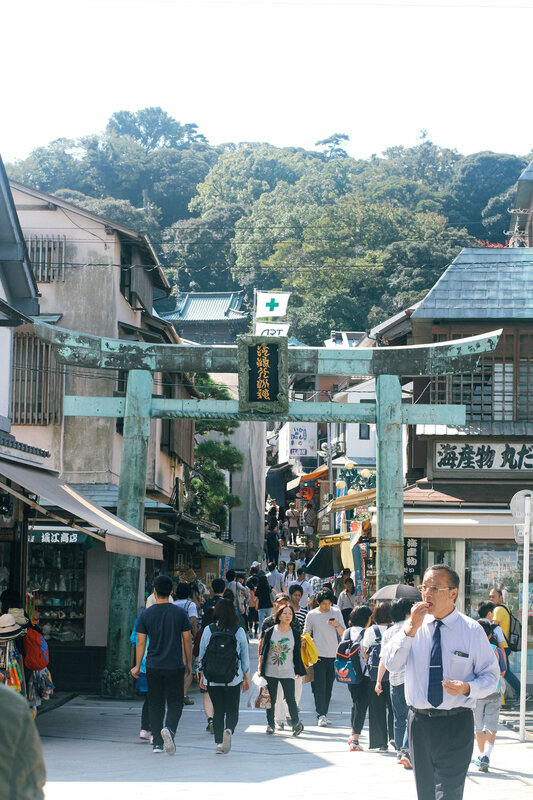 I'm coming back for you Enoshima. Once you get on the island, you're immediately met with this incredible charm. 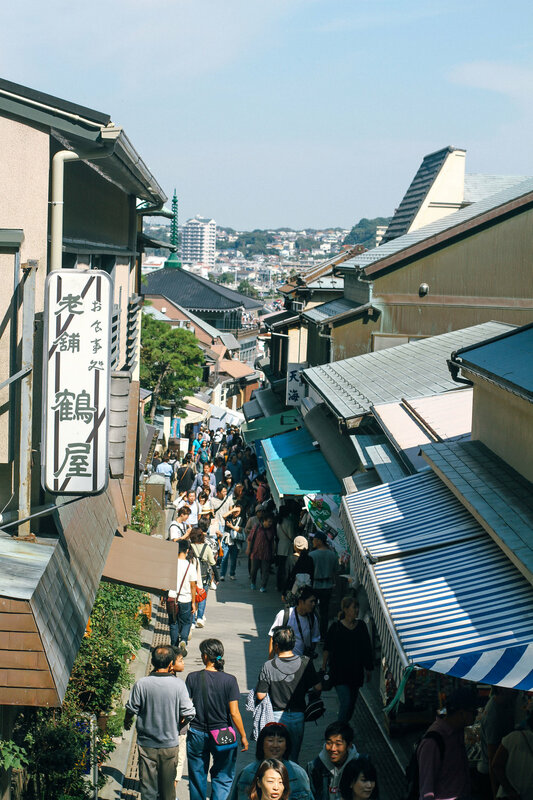 Tiny cozy street lined with souvenir and snack shops, restaurants tucked perfectly into the alleyways, and winding streets that criss cross all over the island. amazing. If the island wasn't already perfect as is, they had to go and add the cutest HELLO KITTY restaurant to it and just make all our dreams come true. I mean, look at how cute everything is!!! AHHH. Our first stop was up the main street and straight to the big shrine on the island. 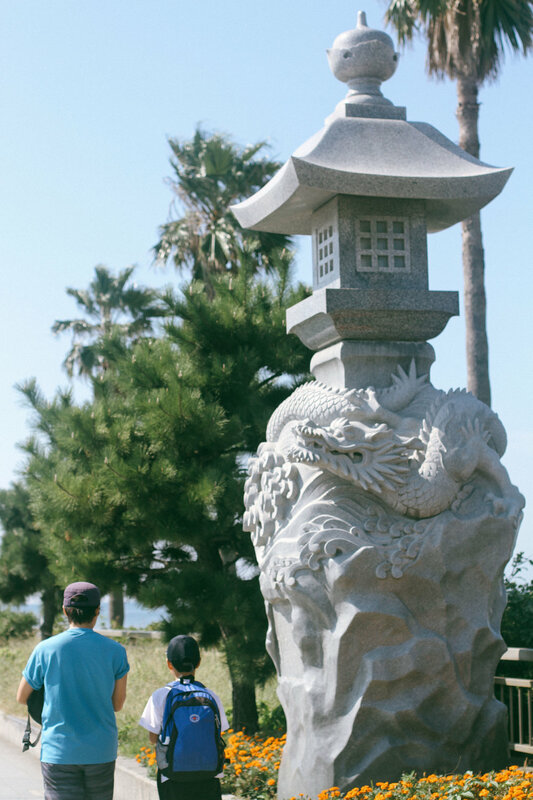 It made for an epic view of the red tori gate with the ocean in the background. We grubbed on some fancy and amazing FRENCH TOAST at LON CAFE. I got their number one CREME BRULEE and it did not disappoint. And I mean, strong iced coffee, a sweet treat, and the view of the ocean!?? Does it get much better than that?? THAT'S MT.FUJI IN THE BACK THERE!!! Man...one day I will get a nice good shot of Fujisan, but for now I'll have to continue gazing at it through the haze and fog. We bought a 600yen ticket to enter the garden area and also go up to the top of the "SEA CANDLE" haha what a funny name! It's a pretty cool structure though, and has an incredible view at the top! That's the pedestrian bridge we walked across to get to the island. Pretty cool how it's right off the main coast! After spending all day on the island, we headed back before sunset since we knew it would take a while to get back to Tokyo. But I seriously could have stayed there all day!! 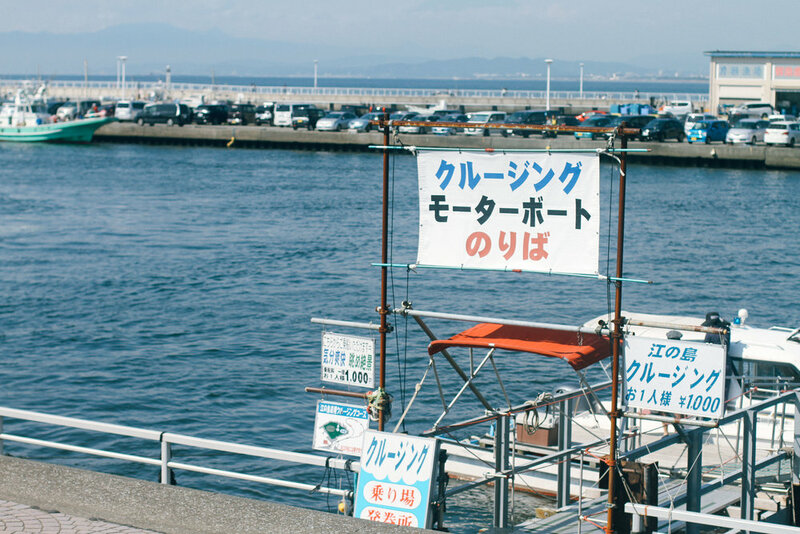 Enoshima totally won my heart. And plus, look at this cute grandpa I saw on the way out. AHH!!! This is my second favorite photo of the day. 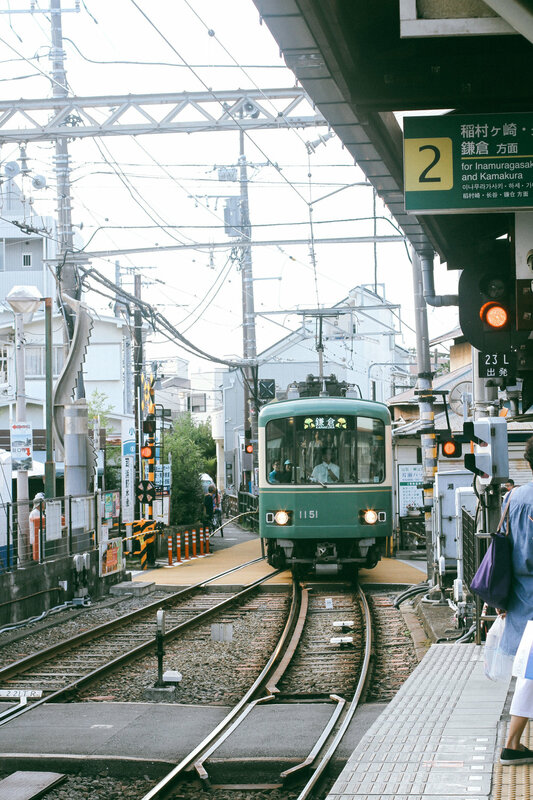 The cute little train that runs to Enoshima station is called the "ENODEN" and took us back to KAMAKURA, which is a main station that leads back to Tokyo. The ENODEN runs across the coast...and for a moment I was transported back to the 101N in CA...and I almost cried happy tears! I've said it before and I'll say it again...as much as I love TOKYO and big city life, I will always be an ocean girl. It's where my heart feels most at home. 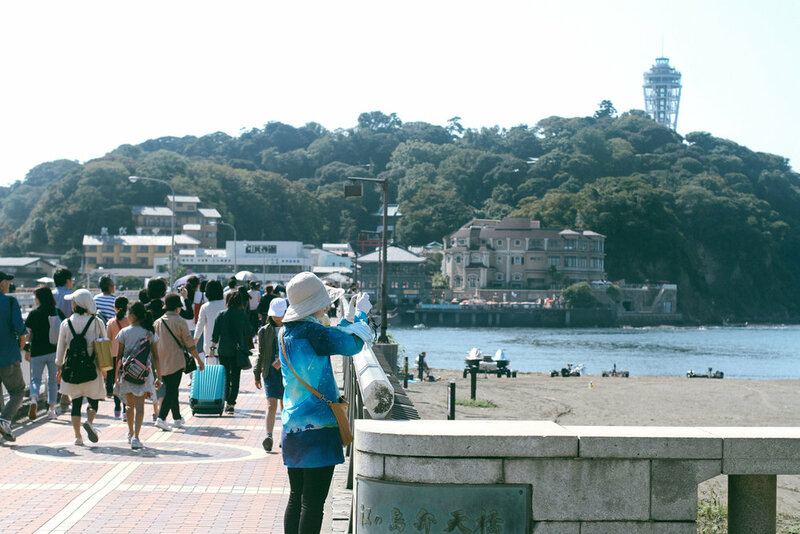 Farewell Enoshima...Thanks for being the perfect island day trip and escape from the concrete jungle of Tokyo. You stole my heart...AND I WILL BE BACK IN NO TIME!! !